LARGO, Fla. — People throughout the Tampa Bay area are asking why officials reunited Jordan Bellievieu with his mother, who police say murdered him last weekend. 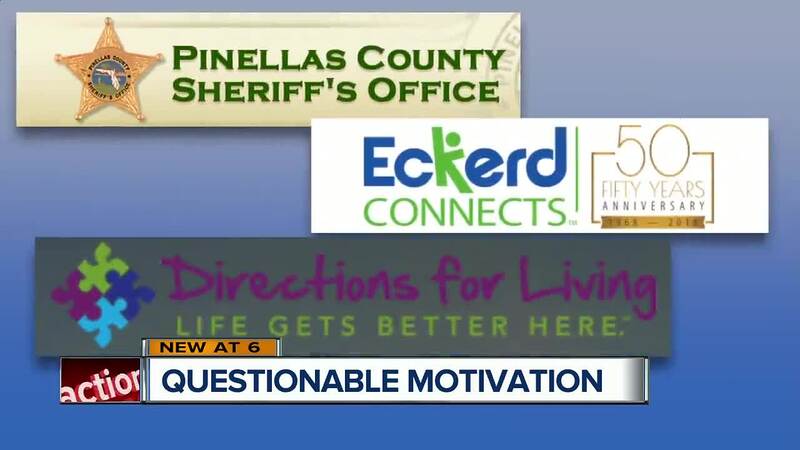 Now the I-Team is digging into what some may call questionable motivation. “Everybody's pointing fingers. And the point is, everybody had a hand in this. Everybody,” said foster care advocate Connie Going. Going says 2-year-old Jordan Belliveau is the latest casualty of a broken child welfare system. Police say Jordan's mother murdered him, then reported him missing, just months after authorities returned him to her custody. Going believes the system favors reunification because it's the easiest way to achieve permanent placement goals. 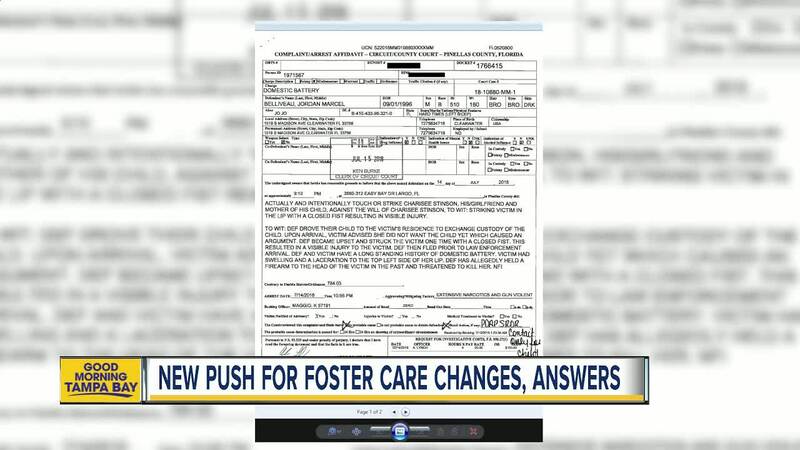 The federal government says children in the foster care system should be placed permanently within 24 months. “There is a number that needs to be met for that in order for a state to be receiving federal funds,” Going said. “But for a court order, he would still be safe in our home,” Sam Warren said at a press conference earlier this week. Jordan lived most of his life with foster parents Sam and Juliet Warren. Authorities took Jordan away from his parents shortly after his birth in 2016 over drugs, gang activity and domestic violence in his home. But on July 16 of this year, a Pinellas circuit court judge signed a permanent custody order returning Jordan to his parents at the recommendation of child welfare agencies. That order was signed two days after his father was arrested for allegedly battering his mother in Jordan's presence. “Police were involved then. Why didn't everyone come to the table at that point and say a risk is raised? We need to be in this home or we need to remove this child,” said Going. At the same time Charisse Stinson, who child welfare agencies said could provide stable housing, was behind on rent and facing eviction. “Jordan was failed by the system. He was failed by many people who should have protected him but didn't,” said Sam Warren. “We have to fix it. We have to learn from this. because otherwise it's meaningless and it's just another child death. And we can't accept that,” said Going. Representatives from law enforcement, child protective services and all the agencies involved are continuing their investigations to try to determine exactly what happened and hope to have more answers in the coming days.